The DeKalb Police Department has established a Safe Exchange Zone in the front parking lot of the department at 700 W. Lincoln Hwy. The zone is an area set aside for exchange of online purchases or child custody exchanges. On March 5, 2019, the DeKalb Police Department announced the addition of a Safe Exchange Zone in the front parking lot of the department at 700 W. Lincoln Hwy. 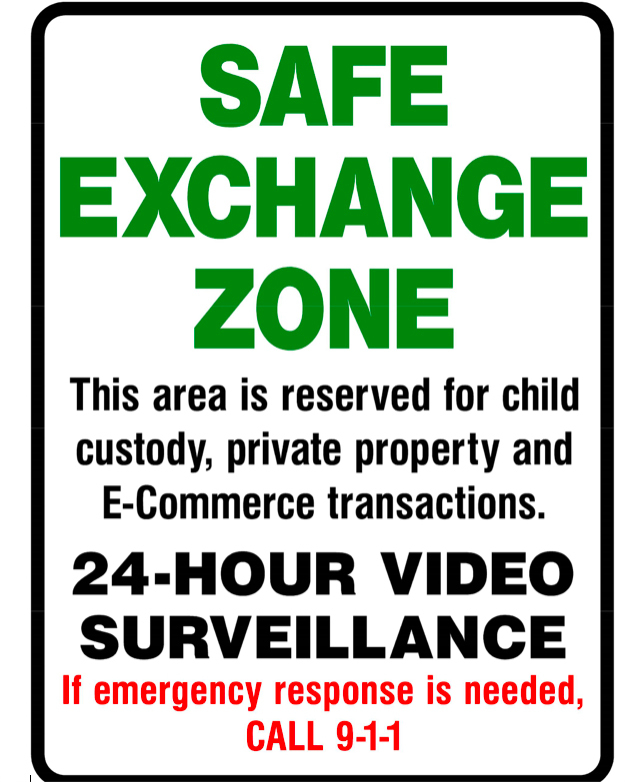 The Safe Exchange Zone will provide an area for those that buy, sell or trade items with others and also provide a safe area for child custody exchanges. The Safe Exchange Zone is monitored 24 hours a day and it is expected to reduce and deter thefts, robberies, fraudulent transactions, and domestic violence during child exchanges. The Zone is free to all to use and is available on a first come, first served basis. Look for the Safe Exchange Zone sign. For more information, please call Officer Kelly Sullivan or Commander Bob Redel at 815-748-8400. Lakeshore Recycling Systems (LRS) will resume landscape waste collections on your regularly scheduled pickup day beginning April 1. Yard waste includes garden trimmings, branches/brushes, leaves, garden plants, vines, weeds, and grass clippings. Residents are reminded of general guidelines listed below. Place yard waste in biodegradable landscape waste bags or open garbage cans marked with “YW” or “X”, not exceeding a 32-gallon capacity or 50-pounds. Do not place yard waste in plastic bags or boxes. Brush must be cut to 4-foot lengths and bundled with string or baler’s twine, (no wire or plastic rope) not to exceed 50 pounds. Tree branches and brush must not exceed two-inches in diameter. LRS also offers yard waste carts for an additional monthly fee. Please call (815) 770-7550 to request a yard waste cart. Questions may be directed to the Public Works Operations Division at 748-2040. This year’s Victor E. Ball, Northern Illinois University Athletics’ premiere fundraising evening, features one of the most entertaining and unique programs in the four-year history of the event on Saturday, April 27. Guest speakers include Ferguson “Fergie” Jenkins, a 19-year Major League Baseball veteran and Chicago Cubs Hall of Fame pitcher, and Katrina Adams, a Chicago native who went from professional athlete to trailblazing leader of the United States Tennis Association. New head football coach Thomas Hammock will also speak while Chicago radio/TV personality David Kaplan will emcee. The event will be held at the NIU Naperville Conference Center (1120 E. Diehl Road). A cocktail reception, hosted by Acquaviva Winery, kicks off the festivities at 5:30 p.m. in the atrium area of the Conference Center, where guests can peruse and bid on the silent auction items while mingling with the VIP guests and Huskie coaches and student-athletes. Dinner in the ballroom follows. 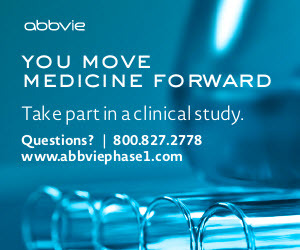 Online registration is now open. Tickets are $400 per person or $3,500 for a table of eight guests, plus a current NIU student-athlete and NIU head coach or administrator. All proceeds assist in funding NIU student-athlete scholarships, specifically the Huskies’ ongoing commitment to provide cost of attendance funding to more than 400 student-athletes in 17 sports programs. For more information, go online to the Victor E. Ball webpage at NIUHuskies.com, or contact the Huskie Athletic Fund Office at 815-753-1923. The Sycamore Park District joins Bethany Animal Hospital to provide a seminar on Pet First Aid on April 13 from 10-11 a.m. The event will be held at the Brian Bemis Family Dog, 480 South Airport Road, from 10-11 a.m. Admission is free for members, $2 for the general public. The session will cover the 12 most common emergency care situations seen at Bethany Animal Hospital and how to provide care to your pet until a veterinarian can examine him or her. Dr. Carlos Dominguez will also help distinguish between first aid and professional treatment to ensure you get your pet the care it needs. Kishwaukee College’s International Education Committee is hosting a weekly film viewing and discussion around the theme Films on the Islamic World. There will be one film covered each week of April. Assistant Professor of History Branden McCullough will facilitate discussion. The event is free and open to the public. Light refreshments will be served. Islamic Art: Mirror of the Invisible World, April 3, 10:00 am–12:00 pm, Student Lounge, C1130. This documentary provides viewers with a stunning tour of artwork and architecture from all across the Muslim world. Koran by Heart: One Chance to Remember, April 11, 1:00 pm – 3:00 pm, room A1225. The viewer follows the lives of three children from the countries of Senegal, Tajikistan, and Maldives as they compete in an international contest to learn and recite all 600 pages of the Koran. Saudi Arabia Uncovered, April 17, 10:00 am – 12:00 pm, Student Lounge, C1130. Reporters go undercover to examine life in Saudi Arabia, particularly among those who have resisted the Saudi government. Children of Syria, Thursday, April 25, 1:00 pm – 3:00 pm, Student Lounge, C1130. This timely film provides a behind the scenes glimpse of the struggle to live in the midst of Syria’s civil war. For more information about the film viewings, contact Associate Professor of Business, Marketing, and Management Tammy Tiggelaar at ttiggelaar@kish.edu or 815-825-9478.